One of my two jobs is working for the City of Hamilton at one of our wonderful recreation centres in Stoney Creek. Needless to say, there’s not much variety on this part the mountain when it comes to places to eat, especially something quick and delicious for lunch. Lucky for my colleagues and I, a few new places have opened up on Mud Street, one of them being Lotus Thai & Vietnamese Cuisine. They took over Quiznos old location (I was pretty heartbroken when they disappeared – loved their soups!) but if I had known a Thai restaurant would be opening in their place, I wouldn’t have shed so many tears over lost soup. Since this is a brand new location, it’s very clean and shiny. 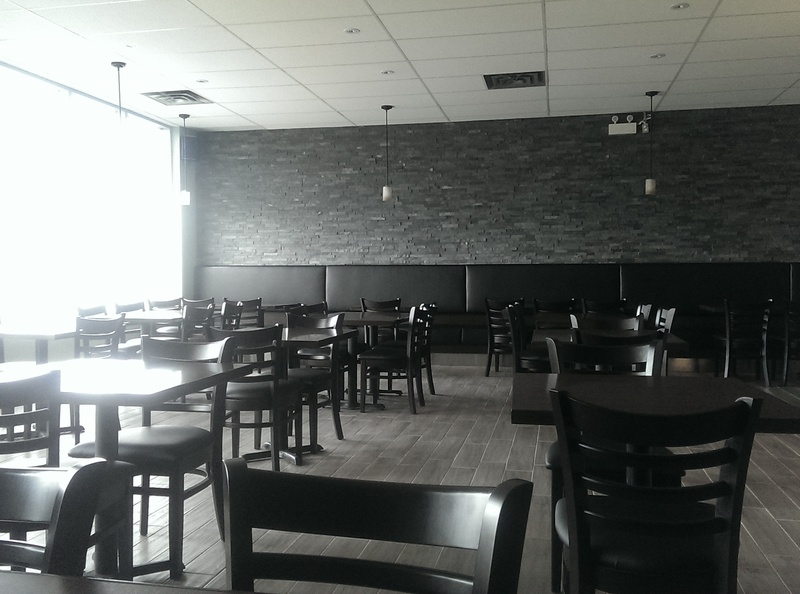 It boasts a bright open space with ample seating. I was greeted by two adorable little girls who ran into the kitchen to grab their mommy. I told the woman I was interested in trying the Pad Thai and she suggested their Lotus Pad Thai, which she said was a bit creamier and more spicy than the traditional. I opted out and decided to stick with the traditional Pad Thai as something to compare the Lotus Pad Thai to at a later date. 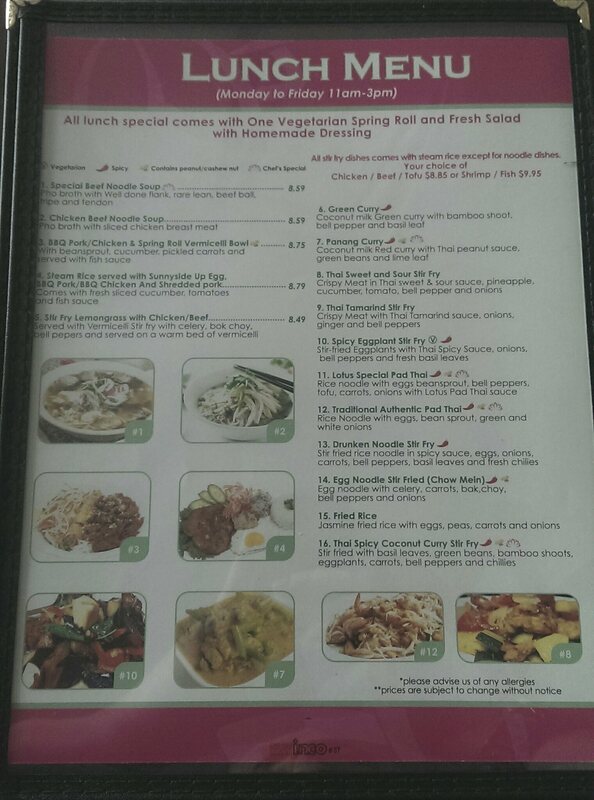 Walking in, I had no idea they had a lunch menu until I saw it on their counter (yay!). 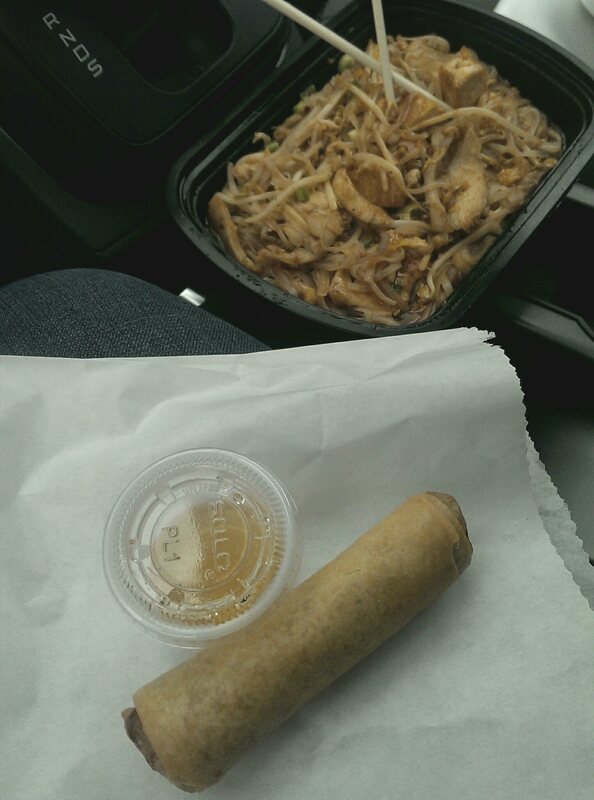 The Pad Thai came with a tasty little spring roll, sauce for dipping and a wonderfully fresh, crisp salad with a light and refreshing dressing. 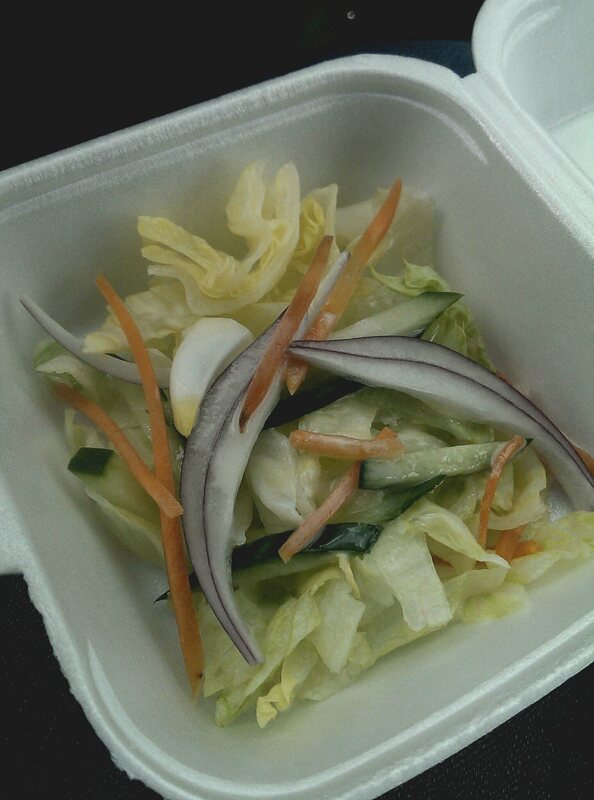 I really enjoyed the salad. I love love love onion and I’m really happy they used red onion in this salad. Since the dressing was fairly light in flavour, the red onion helped to kick it up a notch. Anyway, the Pad Thai was PIPING hot! I couldn’t even keep it on my lap which made me happy that it was so fresh. In regards to the dish itself, out of the many Pad Thai’s I’ve had, this one was definitely a competitor. The chicken was delicious and they didn’t cheap out on the amount of it either. The egg and tofu really make this a well rounded and filling lunch. My only concern with it was the sweetness of the peanut sauce. Although delicious, it was a little on the sweet side for my taste. It’s what I like to call, “too much of a good thing”. Maybe that’s what the Lotus Pad Thai is for, something less sweet with more of a kick. Regardless, this was a great option for lunch. Quick, fresh and delicious. All for $10. I really hope this place survives up here because I’d love to try their Vermecelli and Pho dishes too. 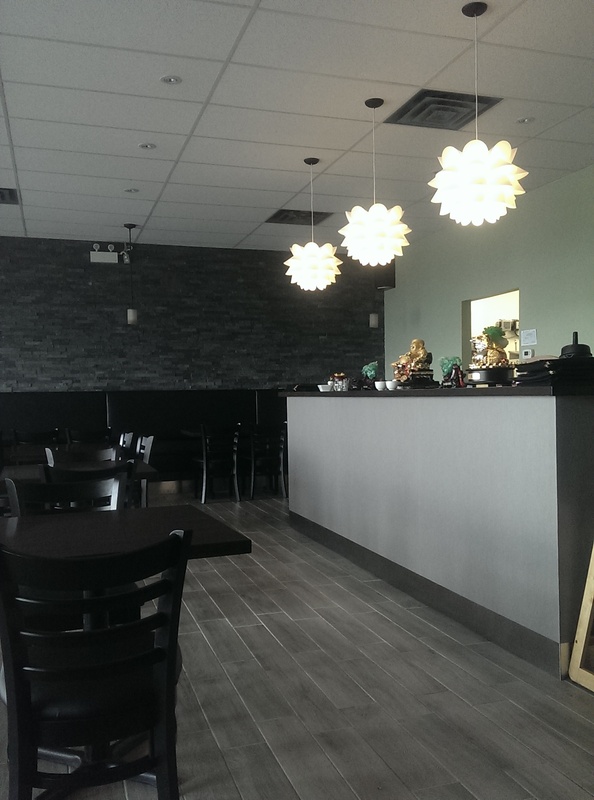 Lotus Thai & Vietnamese Cuisine is located at 280 Mud Street West in Stoney Creek. < Previous Aberdeen Tavern’s 1st Anniversary Bash! I am sure you will like the Lotus Padthai, it’s just a tad bit spicy; for a person who can take a little heat with their food. 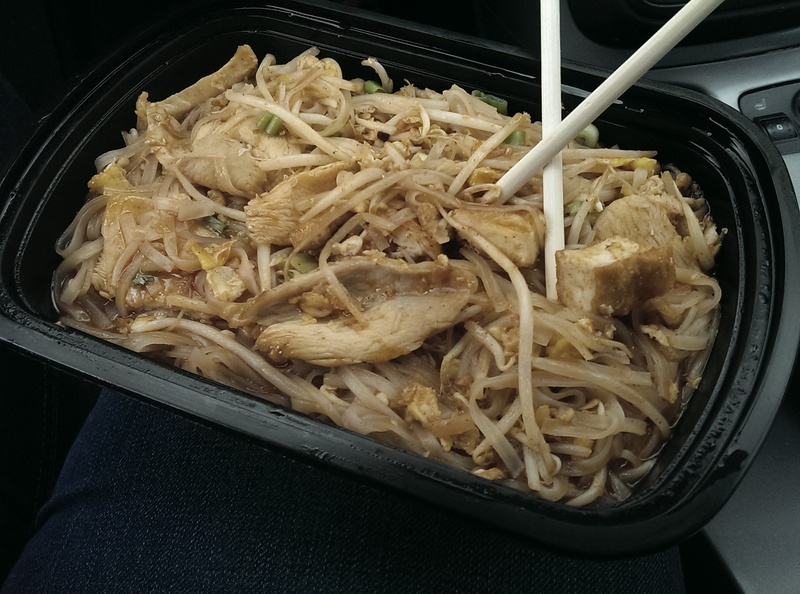 I highly recommend the white meat chicken breast with lemongrass for the vermicelli bowl! 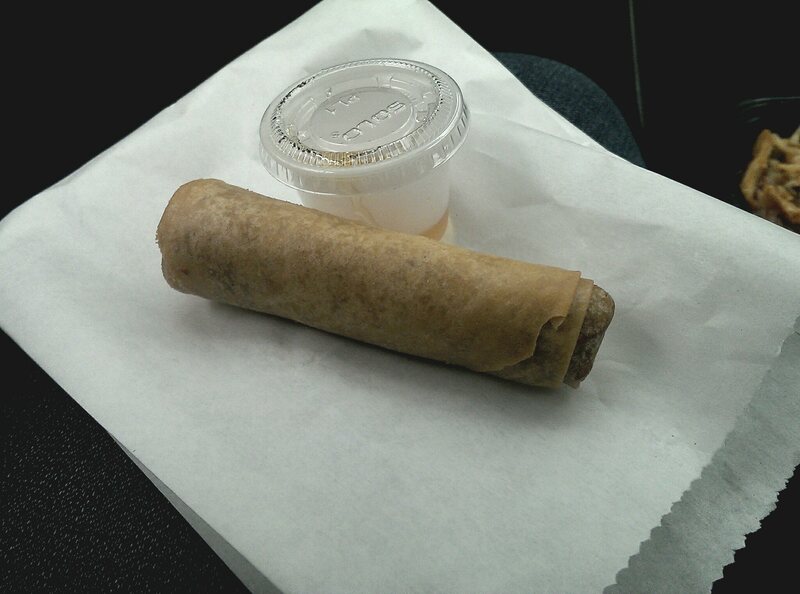 It comes with a spring roll and lots of fresh veggies to enjoy with our fish sauce.